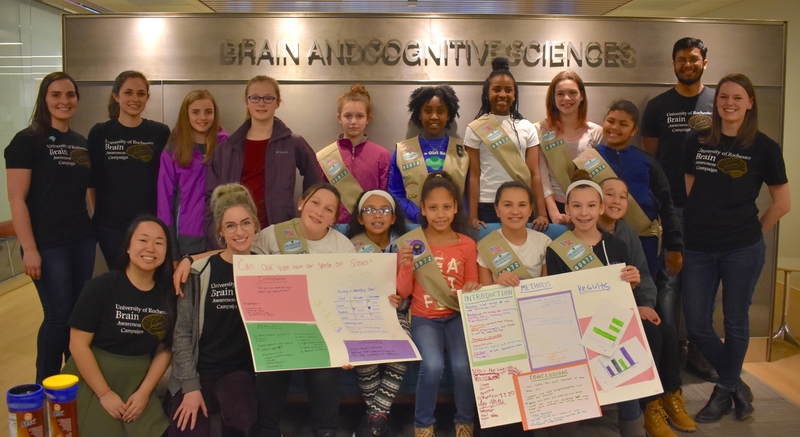 In 2017, we hosted our first annual “Neuroscientist for a Day” event for Rochester area Girl Scout troops. 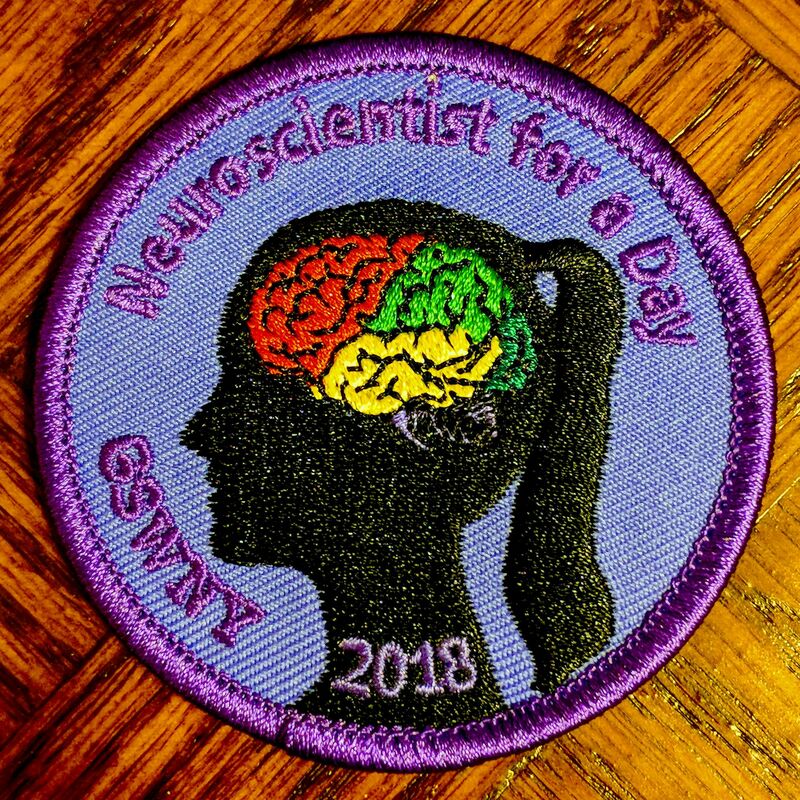 At “Neuroscientist for a Day”, participants learn about the scientific method, neuroscience research, and some of the amazing women in the field of neuroscience. They then conduct their own experiments and prepare posters to communicate their learning and results. At the end of the day, the girls earn an awesome patch for their vests! The theme for "Neuroscientist for a Day 2018" was multisensory integration. 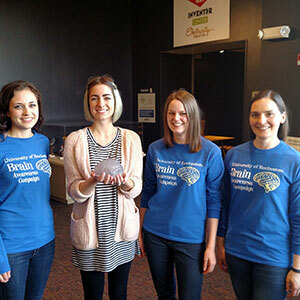 We hope this group of budding neuroscientists (pictured below) had as much fun as we did with the experiments! We have teamed up with the Rochester Museum and Science Center on numerous occasions and brought our activities to their facilities to share with museum-goers — parents and children alike. 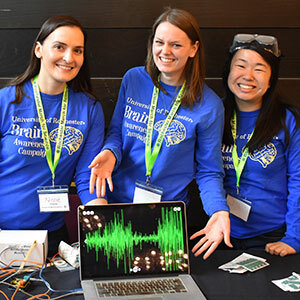 We also set-up our activities at a booth during their 2017 Ladies in the Lab event. In 2017, we participated in the Rochester Science Expo at the March for Science. Alongside other local organizations, we set up our interactive activities and networked with the community. We have also been invited to participate in science expos and activity days at local schools, including Adventure Day at Manor Intermediate School and a science day at Dewitt Road Elementary School.